We promise to treat you with courtesy, dignity and respect and to act in a professional manner at all times. You will be able to identify staff by name. You have a right to confidentiality and privacy. Patients with urgent medical conditions will be given priority and will be seen on the same day that the problem occurs. If there is an appointment request where the patient has been seen for the same issue by a Paramedic Practitioner or Nurse Practitioner previously and the issue has not been resolved, this patient should be seen by a GP. Reception staff will not usually know if a patient has been recently seen by a Paramedic Practitioner or Nurse Practitioner so the patient can request to be seen by a GP. If the patient does see a Paramedic Practitioner or Nurse Practitioner for a second time, then we have asked the clinician to contact the Duty Doctor for a second opinion. Surgeries will begin promptly; any delay will be due to medical necessity. Where there is a delay of more than 30 minutes you will be informed. We try to ensure the telephone is answered promptly at all times. We aim to have repeat prescriptions ready for collection within two working days (48 hours) of your request. This does not include weekends. Requests cannot be accepted by telephone. Repeat prescriptions will only be given where the doctor feels that this is clinically necessary. You have a right to see your medical records, subject to certain legal limitations. A small fee may be charged to cover costs. If you wish to have access to your records you should speak to the practice manager who will advise you of your rights under the Access to Medical Records Act 1990. Referrals to specialist medical or other services will be dealt with promptly and efficiently within five working days. You will always be able to contact a doctor in an emergency. Normally this will not require a patient or relative to make more than two telephone calls. Please be patient! We do our best and are always willing to listen to any suggestions/concerns you may have about the care/service we offer. Please talk to the practice manager when you think we have got it wrong BUT ALSO WHEN WE GET IT RIGHT!! The Patient: How Can You Help? Respect others' rights - be courteous to our staff. 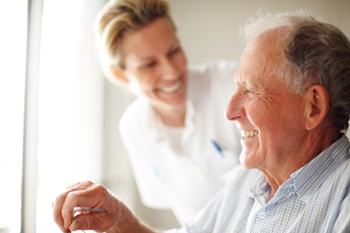 A request for a home visit should only be requested where it is clinically necessary. Requests should be made before 11.00am where possible. Out-of-hours visits (evening, night and weekends) should only be requested in the case of genuine acute emergencies. Out of hours telephone calls should only be made where they cannot be left until the next day. Please remember that appointments are for one person only. Where another family member needs to be seen, even for the same symptoms, you need to make a separate appointment. Whilst privacy will be respected by staff, patients should indicate whether they wish an appointment for routine information, i.e. test results, health checks etc. Please remember to request repeat prescriptions in good time. If you change your address or telephone number please inform the receptionist so that your records can be updated. Please be on time for appointments and give the practice adequate notice if, for any reason, you need to cancel the appointment. Appointments are valuable. Please ring the surgery after 2.30pm for test results and other routine (non-appointment) matters. Please be patient when the doctor is delayed for any reason. It is not the receptionist's fault. Observe the No Smoking policy. All mobile phones should be switched off. l In the unlikely event of a patient becoming violent or abusive to their GP or another staff member or other persons on the practice premises, the patient will be removed from the Practice List. All members of the surgery team endeavour to offer the highest quality of care within the available resources. We hope we can achieve this by working together in matters of your health care.